Size M: 15.5"(L) x 8.5"(W) x 7"(H). Fits most winches range 2000 lbs - 4500 lbs. Size L: 23.5"(L) x 9.5"(W) x 8"(H). Fits most winches range 5000 lbs - 17500 lbs. 1. The Winch Cover made of Vinyl material is waterproof, dust-proof and protect against the sun's harmful UV rays. 2. Protects from flying stones, road debris, and the other nature elements. 3. Flexible elastic band and buckle design, not easy to be blown away also ensure safety in any weather conditions. 4. Easy to install, disassemble and clean without tools. 5. Explore Land winch cover helps reduce the risk of weather and water damage. 6. Every package bonus one free winch handle, for easy to pull the winch rope out. Made of durable waterproof Vinyl with UV stabilized treatment, long-lasting and tough enough as a winch cover, non-scratch backing. Multiple locking systems with elastic band and two quick-clip buckles can makes a snug-fitting installation within seconds. It also can be used when you are driving. Winches cover can be protects winch from sun damage, flying stones, road debris, rust and dust when your winch not in use. Increase the service life of your winch. Every package bonus one free winch stopper and one winch puller. Winch stopper is good for the cable keeps tension on the hook. Winch puller for easy to pull the winch rope out. Winch cover size: 23.5L x 9.5W x 8H inch. Fits most winches in the 5,000 to 17,500 lbs capacity range. 3 Year Warranty. 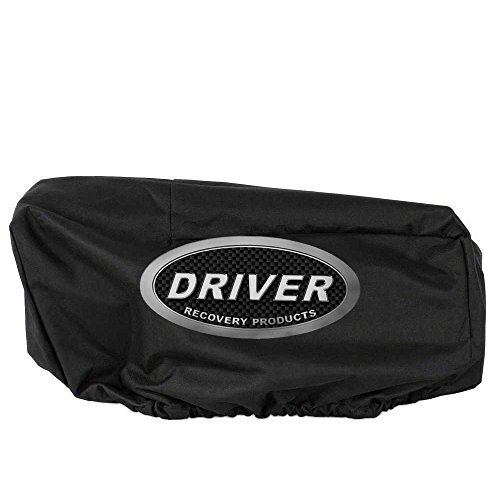 Designed for use with the Driver Recovery Products LD12-ELITE and X12-TITANIUM winch, this soft winch cover conforms to many shapes and can be used with a variety of winches in the 12,000 to 17,000 pound capacity range. It conceals the winch to protect it from the elements, and is made of water-resistant nylon with a sewn-in elastic band around the edges so it fits securely around the winch. Stretched to its full size, the cover measures about 21" wide, 10-1/2" tall and 8" deep. ALL-TOP Winch Damper, Winch Cable Damper, Safety Recovery Dampener - Reflective Strips for High Visibility in Dark! ALL-TOP 4X4 winch rope dampener helps reduce the risk of injury due to recoil in the in event of a winch line or recovery strap failure.While rope failure does not happen often, this damper will help the rope fall to the ground if such an event were to occur. Made from durable vinyl, the ALL-TOP 4x4 winch rope damper also features a pocket for rigging accessories, a rubber-coated center section to prevent it from sliding down the line, and a reflective strip for increased visibility.The product also complies with 4WD competition damper regulations.Safety is the most import part of any off-road recovery operation. Produced according to Lab-Calculated Weight for Safety Recovery! 3 Year Unlimited Warranty. Free to upgrade to Lifetime Warranty! 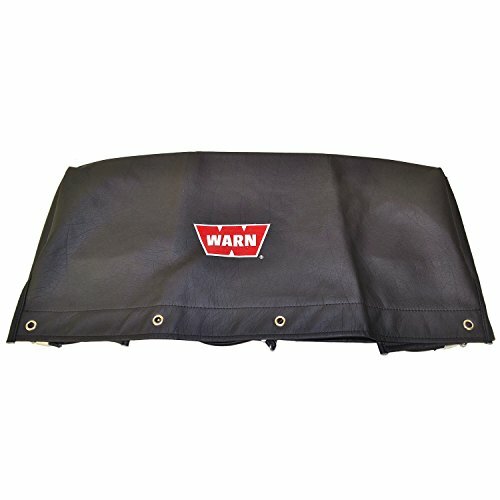 Keep you Warn winch looking new with this Warn Neoprene Winch Cover. Made from durable, form-fitting Neoprene, these covers provide protection from flying stones, road debris, and the elements. The elastic cover stretches over the winch and resists flapping - no cords or straps needed. UV protectant spray included to prolong the life of the winch cover. Fits the Warn ZEON 8/ZEON 8-S; ZEON 10/ZEON 10-S; and ZEON 12 winches. WARN Neoprene Winch Cover for the 9.5cti, XD9000i WARN winch. WARN neoprene covers are custom tailored for each application and utilize the latest UL approved UV resistant materials. A neoprene winch cover helps to keep your winch looking factory new. Cushions and protects your winch from bug impacts, flying stones, road debris and from the elements. Neoprene covers stretch over the winch so they resist flapping without the need for elastic cords or hooks. We also include a bottle of 303 Aerospace Protectant with each cover. With occasional applications your cover will retain maximum UV protection. All WARN Neoprene Winch Covers are branded with the WARN logo so you can protect your winch and still proudly display the red "W". This winch cover from Offroading Gear is the ultimate protection for your winch. Made from heavy-duty Neoprene that is superior to other cheaper vinyl and polyester covers. The cover is elasticized to form-fit to your winch giving a semi-custom appearance to your cover. 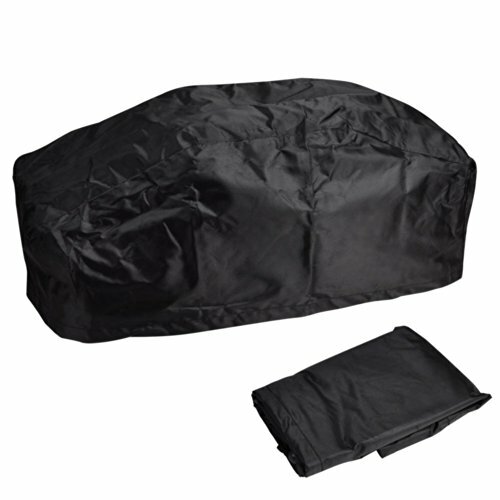 This cover will protect your winch from dirt, dust, rain, flying stones, road debris, the elements, and more. For a limited time, each winch cover includes two free leather gloves ($17.99 value). These extra large gloves are roomy and will protect your hands during your next recovery. This winch cover is designed to fit a number of winch sizes. Pick the cover according to the pulling capacity of your winch. - Yescom 420D Oxford Winch Dust Cover offers you the maximum protection, protecting your winch from water, sunlight and dust. - The elastic band around the edges provides versatile adjustment for a secure coverage. - Easy to store and carry. Safety is the most import part of any off-road recovery operation. The Ranger Winch Cover helps reduce the risk of weather and water damage. 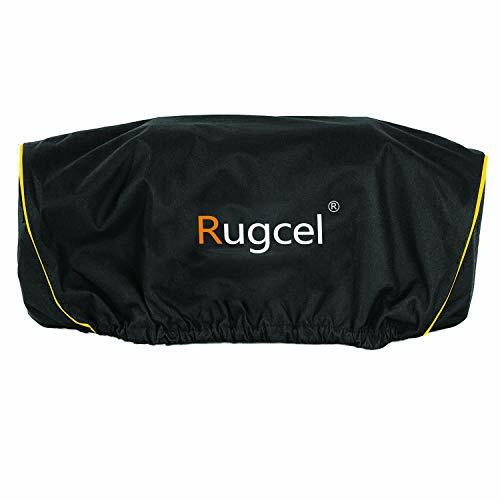 The cover is manufactured from durable washable neoprene and features long time heavy-duty storage, and a big yellow logo. It folds up for easy storage. Fits ATV / UTV winches. Simply place the dampener on your winch, and reduce the risk of a failed winch. 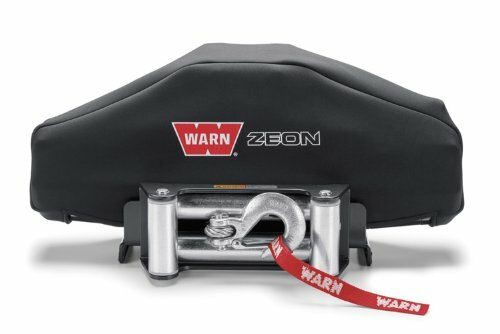 Keep you Warn winch looking new with this Warn Neoprene Winch Cover. 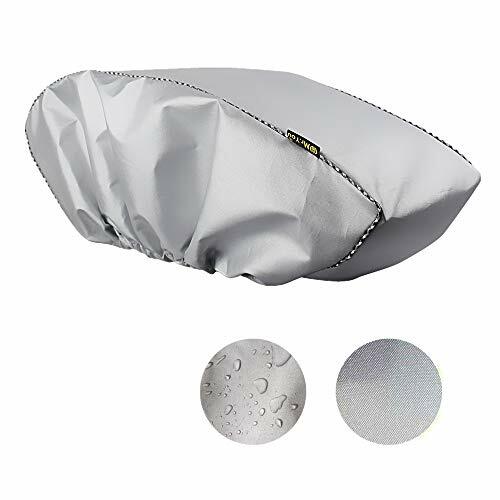 Made from durable, form-fitting Neoprene, these covers provide protection from flying stones, road debris, and the elements. The elastic cover stretches over the winch and resists flapping - no cords or straps needed. UV protectant spray included to prolong the life of the winch cover. Fits the Warn M8000, XD9000, 9.5xp, VR8000/VR8000-S; VR10000/VR10000-S; VR12000; and Tabor winches. 2. Allow your winch to cool before covering. 3. Easy to clean-simply hose winch cover down with water and the dirt comes right off or clean with a damp cloth and mild detergent. Premium Winch Cover Fit for winch/capstan 11.8" width x 6.3" deep x 7.5" high.Be sure to measure your winch first to determine the correct cover size. Durable Oxford Polyester Fabric:Made of high quality fabric with silver coating,water repellent pro-cessed resists dust and aging,durable and last longer. Extremely Easy To Clean:Just wipe down with a damp cloth.Silver Coffee Table Cover is more resistant to dirt.Even if there is dust accumulated in it,it is not so obviously.No fear of fading! Service Life: Five-year limited service life. Mr.You Brand,a brand dedicated to making all kinds of protective covers.If you need to customize other protective cover, please contact us. ELASTICICIZED - The elasticized cover stretches over your winch and resists flapping. Best of all there are no cords or straps to worry about. 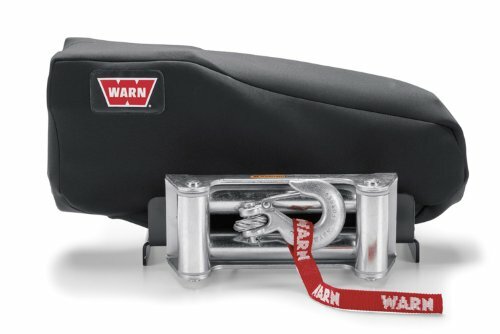 WARN Industries Soft Winch Cover is made of durable nylon-backed vinyl, and holds securely in place with elastic bungee cord fasteners. Fits with the following WARN winches:16.5ti, M15000 and M12000 that are mounted on the Trans4mer system, a Classic Bumper or a Flatbed mount. A beautiful and super great protection at an incredible low cost for your winch from dust, water and sunlight, whether for outdoor, indoor, or on the road. KEEP YOUR WINCH SAFE AND PROTECTED! Keep your electric winch in neat and perfect condition, protecting it from water, dust or anything else that could harm it and cause it to malfunction, with this fantastic cover by El Jefe! NO MORE DUST, WATER OR MILDEW! Our cover was made to withstand all difficult weather conditions; it protects your winch from water, harmful UV rays, and mildew that can be caused by humidity - all the while being super cool-looking too! WINCH ACCESSORIES DESIGNED TO LAST! Made in Europe, from the best possible quality PU Leather, this winch sleeve is extra durable so that we could be sure that it meets your high standards and is able to last you a lifetime of use! HANDY, ELASTIC & EASY TO USE! Thanks to the sewn-in elastic band of our cover, you can secure it tightly around your winch, making sure that virtually nothing can't penetrate and harm your precious gear! IDEAL DIMENSIONS FOR WINCHES UP TO 17500 LBS! When fully stretched, the cover is approximately 24 wide, 10 tall, and 7 deep - (62 x 27 x 17.5 cm); ideal for electric winches up to 17500 lbs! 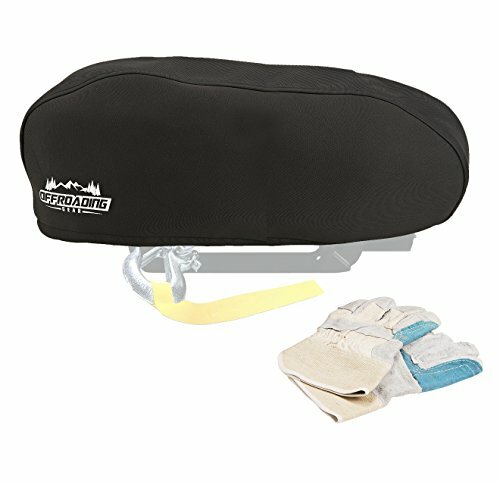 Champion Weather-Resistant Neoprene Storage Cover for Winches 8000-12,000 lb. 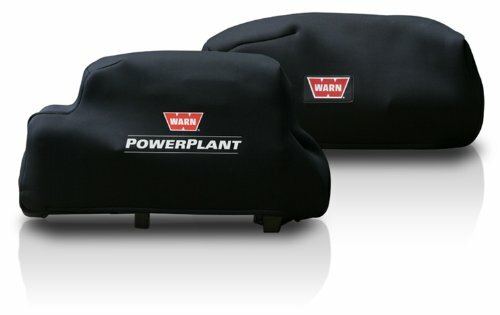 The Champion Power Equipment 18035 Weather-Resistant Protective Neoprene Winch Cover is designed to keep your winch safe, clean and dry so they re ready to get to work when you are. The cover is stretchable and fits quickly and easily over your winch. Once the cover is on, simply pull the adjustable drawstring to ensure a tight fit. This versatile cover provides secure protection for Champion truck/SUV winches from 8000 to 12,000 pounds. Featuring a tough, waterproof neoprene exterior, this storage cover will keep your winch protected from sun and UV damage, rain, snow, dirt, road debris, dust, cobwebs, birds and more. 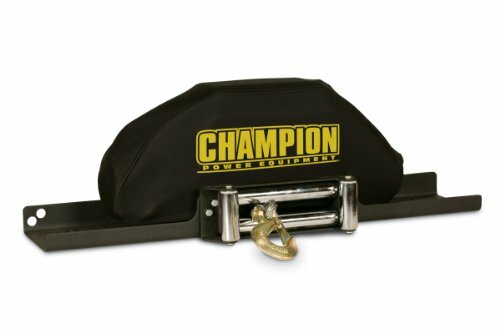 Protect your valuable winch year round with Champion s selection of winch covers. Buy with confidence Champion will back up your purchase with a 1-year limited warranty. Winch-hugging neoprene covers are made with Superwinch's exclusive draw string for simple security. Easy and quick on and off makes you to enjoy this cover on each trip. So cover up the winch with a cover made of dive-suit quality neoprene with UV inhibitors. This cover fits the Talon 9.5 and 12.5; Rock 98; Tiger Shark 9500 and 11500; LP8500 and LP10000; EP9.0; Rock 95 and X9 winches. This soft winch cover conforms to many shapes and can be used with a variety of winches in the 12,000 to 17,500 pound capacity range. It conceals the winch to protect it from the elements, and is made of water-resistant nylon with a sewn-in elastic band around the edges so it fits securely around the winch. Stretched to its full size, the cover measures about 21" wide, 10-1/2" tall and 8" deep. DESIGNED TO LAST! Made in Europe, from the best possible quality PU Leather, this winch sleeve is extra durable so that we could be sure that it meets your high standards and is able to last you a lifetime of use! IDEAL DIMENSIONS FOR WINCHES UP TO 17500 LBS! When fully stretched, the cover is approximately 21.5 wide, 9.5 tall, and 6.3 deep - (55 x 24 x 16 cm); ideal for electric winches up to 17500 lbs! 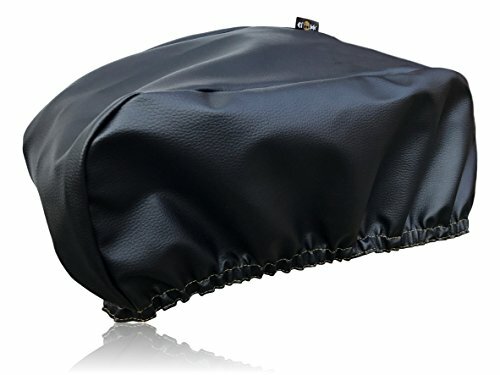 Champion Weather-Resistant Neoprene Storage Cover for Winches 4000-5000 lb. 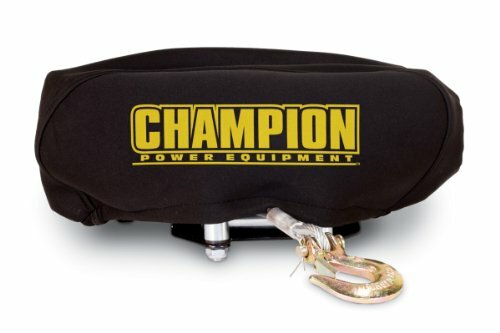 The Champion Power Equipment 18032 Weather-Resistant Protective Neoprene Winch Cover is designed to keep your winch safe, clean and dry so they re ready to get to work when you are. The cover is stretchable and fits quickly and easily over your winch. Once the cover is on, simply pull the adjustable drawstring to ensure a tight fit. This versatile cover provides secure protection for Champion truck/SUV winches from 4000 to 5000 pounds. 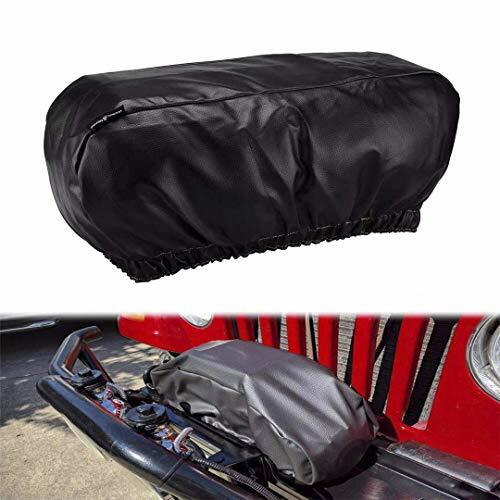 Featuring a tough, waterproof neoprene exterior, this storage cover will keep your winch protected from sun and UV damage, rain, snow, dirt, road debris, dust, cobwebs, birds and more. Protect your valuable winch year round with Champion s selection of winch covers. Buy with confidence Champion will back up your purchase with a 1-year limited warranty. winch is within 17500 lbs, just give Seven Sparta winch cover a chance to bring the winch a comprehensive protection. DURABLE PU LEATHER WINCH COVER. 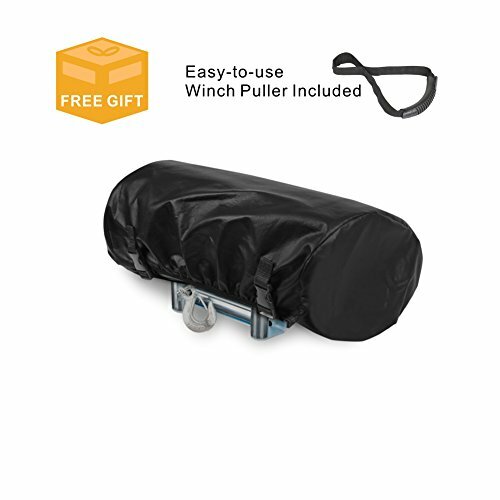 Made of thick heavy PU leather to make the cover durable enough to withstand the water, dust and other physical damage that may caused to the winch, Seven Sparta will bring you a really waterproof and UV & mildew-resistant winch cover. WIDELY APPLICATION.Seven Sparta winch cover is exactly designed for most electric winch, which is about 24 wide, 10 tall, and 7 deep when fully stretched. It will fit the winch like a glove as long as your winch is within 17500 lbs! PERFECT WINCH PROTECTION.Seven Sparta winch cover is thick enough to accompany the winch for very long time, stays on in extremely windy and icy weather and is deep enough to cover your entire winch.Snow and ice are kept away and keeping your winch work great. SMART ELASTIC BAND DESIGN.There is elastic around the bottom that helps wrap around the winch tight. It must fit your winch nice and tight. 100% MONEY-BACK GUARANTEE. All our products come with a 1 month guarantee: if you experience ANY problems with your WINCH COVER, we refund your entire purchase. Our products are sold with a 12 month warranty for the original purchaser against manufacturing defects. UV treated, protect Winches from sun damage. 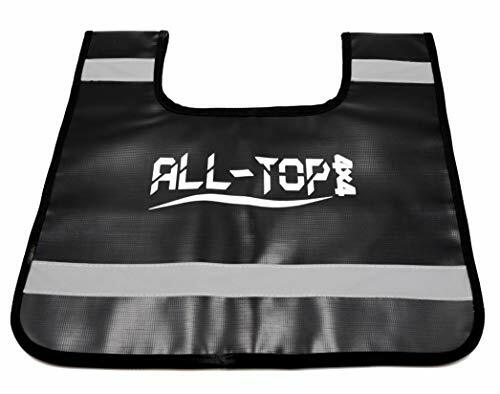 Made of durable polyester, solid and durable, have long time service. Waterproof protect your Winches are intact from rain, water damage. Protects against rain, snow, sun, bird poop, tree sap and dirt and won't crack in cold weather. High density Polyester material completely prevent tiny dust invading your Winches, keep your Winches always clean and look like new one. Elastic shock cord in bottom hem for a fast and tight fit. SIZE: 21.5 x 9.5 x 7.5 Inches, Made of HEAVY 600 Denier Oxford textile, Durable, Heavy Duty and Deluxe. Fit for Winches up to 17500 lbs. PERFECT PROTECTION: All weather, waterproof, UV and Windproof, Sunproof. Keep your electric winch dry, great protection for your winch from dust, water and sunlight for outdoor and indoor use, prolong life of winch cover. RED STRIPE EDGES DESIGN: Edges Sewn-in elastic around the edges for a secure, snug fit, With 2 Red color edge straps on 2 sides to make your covered winch even beautiful and in good shape, just like a new one. WIND RESISTANT: Sewn-in elastic band around the edges for a secure, snug fit. Keep it secure on the winch and will not be blown away by wind. LIFETIME GUARANTEED SATISFACTION: If you are not 100% happy this winch cover, Feel Free to contact us for Refund or Replacement. No Hassle!